We’ve been waiting quite a while for Google’s latest and greatest flavor of Android to get its big update, although it’s not the Key Lime Pie (5.x) as some initially suspected, Android 4.3 Jelly Bean does bring a whole host of useful changes and enhancements. As expected, Android 4.3 will be getting Bluetooth Low Energy support, or Bluetooth Smart, which brings a similar Bluetooth performance but consumes considerably less power in doing so. This, naturally, will enable users to conserve those precious droplets of battery life for more important tasks. Android 4.3 also brings advanced multi-user settings, which will allow group owners of Android devices to share a single device with any number of different profiles for each users. Naturally, it also offers restricted profiles, which enable parents and schools to restrict young Android users access to certain inappropriate content. Not only do these profiles help with the ongoing censorship movement in protecting young people from the potential perils of the Internet, but it will also prevent the continued climate of accidental in-app purchases. Time and time again we’ve seen complaints and even lawsuits from bemused parents after their child has clocked up a huge credit card bill in purchasing virtual teacakes, but the new restrictions mean the bill payer can set restrictions in advance. Android 4.3 was never meant to be a substantial update, and so it has proved. Most of the changes will probably be unclear to the general user, such as new OpenGL ES 3.0 support offering improved realism at the disposal of game developers, although this new implementation will finally take advantage of the multiple core processors vendors keep throwing into new devices. 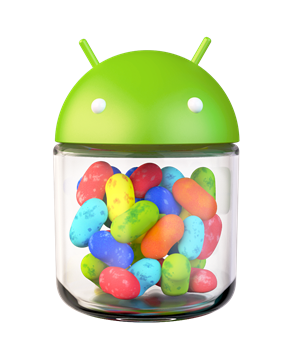 And yes, if you’re suspecting it: Android 4.3 Jelly Bean does bring forward more performance enhancements. It’s safe to say that Google is in an all-out battle against lag and other small annoyances. 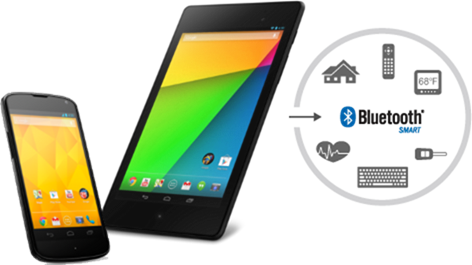 The first devices to see Android 4.3 will naturally be of the Nexus variety, with the Nexus 4, Nexus 10, Galaxy Nexus, and first-gen Nexus 7 getting the OTA update, starting today, and the new Nexus 7 2013, which gets support right off the bat will remain untouched out of the box. The Google editions of the HTC One and Galaxy S4 will also be seeing the new firmware in the near future. 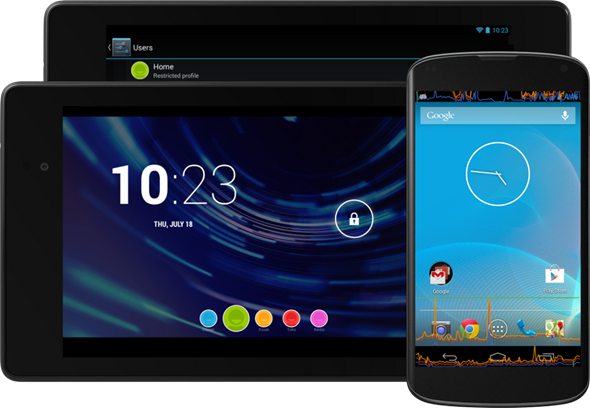 We’re suspecting that Android 4.3 will roll out for other devices later this year. With Google Play Games having also been released today as a separate download, the improvements to Android are coming in swift, quintessentially Google fashion. Unfortunately, the fragmentation of the ecosystem means there’ll likely be delays in getting Android 4.3 to your perfectly compatible device, but if you’re running a stock Android smartphone or tablet, your wait will not be particularly lengthy. Update: You can now download Android 4.3 factory images For Nexus 4, 7, 10, Galaxy Nexus.